Xero Inventory Management. The TradeGecko team is very excited to announce that we will be in Auckland on the 20th, 21st and 22nd of February at the first Xerocon of 2013 to promote our forthcoming integration with Xero’s accounting software. Xerocon is a conference run by Xero to promote their accounting software and to announce their future plans whilst providing a great opportunity to meet partners and to learn more about available solutions. 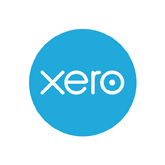 We decided to partner with Xero to provide accounting software to our customers, not just because they’re Kiwis like us - but because they have developed world-class, beautiful accounting software that is being adopted by companies around the world. If you want to learn more about the TradeGecko partner program register your interest here https://www.tradegecko.com/partners. We are also working on integrations with other SaaS products, to learn more please visit our app store.